My father bought me my first pony when I was 6 and from then on I was hooked. 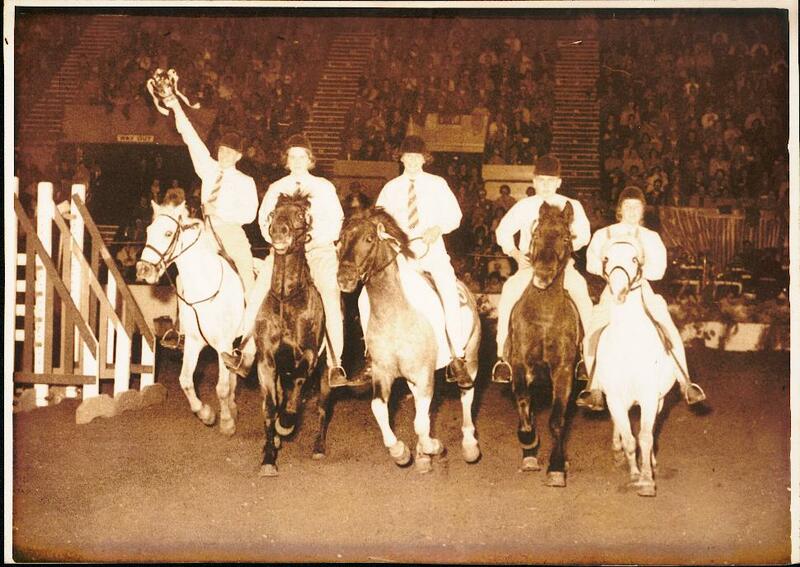 Through my youth I took part in all Pony Club activities specialising in Prince Philip Cup and was in the winning team when Price Philip presented the trophy. When I married I continued to keep a horse for myself to ride and ponies for the children and when youngest daughter Abigail arrived we went out riding together on my Irish Cob mare. From 6 month’s Abigail would sit in front of the saddle, her first words were “Lola Canca” (She couldn’t say canter) and Lola would canter for her!! A friend had a Shetland that Abigail liked to ride, she always had her saddle and bridle in the car in case we went near my friend’s yard, so for her second birthday we went to Reading Shetland Sales to buy her a pony having been told by a local breeder that there was a suitable pony being sold. We bought a Miniature Mare Lee Copper Coin and could not resist buying a 6 month old colt Bard of Transy. These two ponies made sure we were hooked for life!! Copper was the perfect first pony for Abigail and Bard was a prolific winner in both flat and WHP classes as well as pony club one day events. He was reserve champion at the Olympia Championship in1986. We bought our first Stallion Donnachaidh Pinnochio when Abigail was 6 and she broke him in when she was 7 qualifying him for the Olympia Championship the following year and coming 5th overall. We bred a colt foal by Hurtwood Romany from Copper, this was the start of our mini heard, and went to the Duchess of Devonshire to buy our standard foundation mare Chatsworth Belle. Having gelded Bard we bought his full brother Babart of Transy to have as a second stud stallion for Pinnochio and Belle’s daughters and so Briar Shetland Stud was started. When Abigail outgrew the Shetlands we started driving them and bought Lockinge Edward who taught us to drive! For riding we bought a Welsh Cob Stallion Buckswood Flyer, a Highland Pony Turin Hill Magnus and loaned a Dales Pony Outlands Commodore. We bred a few welsh cobs by Buckswood Flyer. We also had an Irish Draught mare for Show Cob classes from whom we bred two foals one of which we still have at home Briar Thomas and the other we sold to a lovely home in Germany, Briar Annie.